Don't be predictable this Valentine's Day. Treat your date to a unique night out on the town. This year, since Feb. 14 falls on a Wednesday, there are Valentine's Day activities from Saturday, Feb. 10 through Saturday, Feb. 17. Use our go-to guide below to plan a romantic date that definitely isn't cliché. Your special someone is sure to appreciate one of these out-of-the-box events. Take your valentine on a walking tour through Laurel Hill Cemetery. You'll learn the little-known story of a woman whose heart – and only her heart – now lies buried there. The tour ends with a cozy fireside reception, complete with wine and hors d’oeuvres. Save the Netflix and chill for another night and instead recreate a magical moment from the streaming service's hit series "Stranger Things." Voltage Lounge is throwing a Snow Ball Dance Party, similar to the one Eleven attends with Mike, on Saturday, Feb. 10. Attendees are encouraged to dress up in retro prom attire or cosplay (although completely optional). The venue will be decked out in '80s school dance decor and DJs Baby Berlin and Jem will be playing popular late '70s/early '80s music. There will also be a pop-up photo booth, so you and your date can remember the night with an awkward prom pic. You can buy tickets ahead of time to guarantee a spot at the dance. What's more romantic than taking a stroll through cobblestone streets, hand-in-hand, with your sweetheart? Chestnut Hill is throwing a pre-Valentine's Day festival on Sunday, Feb. 11. Germantown Avenue will be decked out with nearly 20 ice sculptures from renowned ice sculpture Peter Slavin and the Fear No Ice team. In the Laurel Hill Gardens, there will be live ice sculpting demonstrations, as well as fire pits, wine and cheese tastings, snacks and hot beverages. Take advantage of all the freebies, then shop for a special gift for your special someone in the boutiques offering "red hot" deals. Movie dates are classic, but this year don't settle for a screening of an overhyped, underwhelming flick. On Valentine's Day, take your true love to see the romantic masterpiece "Casablanca." There's a reason the black and white movie is always found on top 10 lists of best films. The screening will begin at 7:30 p.m. at the PFS Roxy Theater. Moviegoers are invited to bring their own beer or wine. Dive into the science of wine at this Franklin Institute event on Valentine's Day. Each guest will receive wine samples to accompany each hands-on activity. Impress your love by whisking them away to a lush vineyard, where they can enjoy a wine and chocolate pairing. There will be five stations set up on Chaddsford Winery's historic property in Bucks County. At each one, guests will receive artisan chocolates paired with award-winning wines. Tickets are $25 per person. Arrive anytime between noon and 7 p.m. on Valentine's Day. A Play, a Pie and a Pint’s "One-Night Stands"
Tiny Dynamite presents "One-Night Stands: Three Comedies about Love & Relationships," as part of its A Play, A Pie and A Pint series. Tickets are $15 per person. Included is access to a hilarious show, a pint of Philadelphia Brewing Company beer and a slice of pizza. There will be a different show on Feb. 14, 15 and 16, so pick the best option for you and your date. And if you need a babysitter, the aquarium offers "That’s A-moray" night camp. 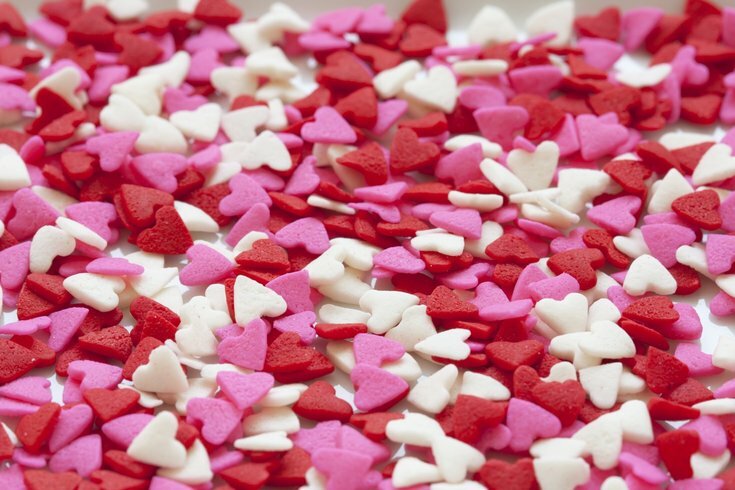 Check back for updates, as more unique Valentine's Day events are added to our list.